AUTILI Milk Pop 850mg chewable tablet contains 80% premium Australian whole milk powder and offers exceptionally delightful experience with full goodness from world’s most trusted dairy source. The unique formulation aims to meet 54% RDI of calcium per serving and is specially enriched with vitamin D & A for optimal calcium absorption and healthy vision. 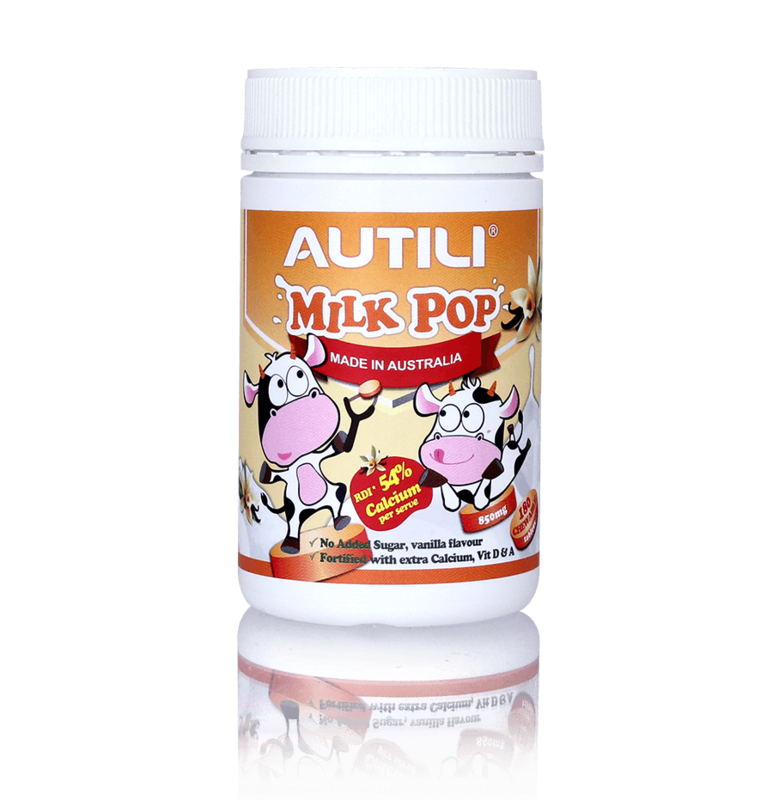 AUTILI Milk Pop 850mg chewable tablets are available in vanilla and strawberry flavours your kids will love and deliver a perfect blend of good taste of creamy milk and delicious flavours. It can be simply taken on the go and offers great nutritional support for growing bodies that need to refuel throughout the day.